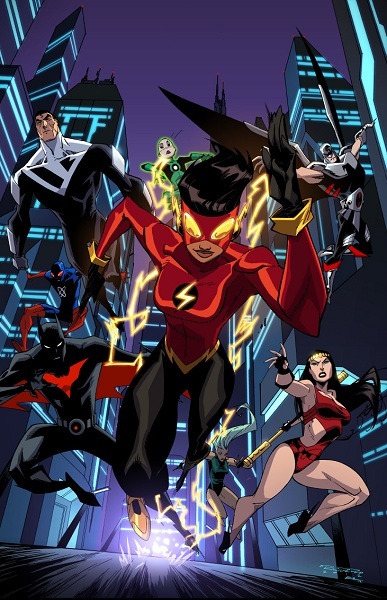 Newsarama talks with Justice League Beyond series writer Derek Fridolfs about “Recruitment Drive”, in particular tomorrow’s digital installment “Flashdrive,” featuring the debut of an all-new future Flash. From the preview panels in the article, we learn that her name is Danica and she works as a tour guide at the Flash Museum. And, keeping with tradition, she’s always late. Here’s a link to Justice League Beyond on ComiXology. New issues are released weekly on Saturdays, and the stories are collected in the print series Batman Beyond Unlimited. I’ve long thought that if DC were ever going to really reinvent their lineup like they did in the Silver Age (a missed opportunity for the New 52, IMO), the Flash would be one of the A-list characters with the most flexibility as far as identity goes. There’s nothing critical in the concept that requires the Flash to be a man, a scientist, a cop, book-smart, streetwise, rich, poor, white, arrogant, compassionate, only child, orphan, or anything else except fast. The name — Flash, not Flashman — may be why some of the higher profile alternate reality projects, the ones that really made an effort to do something different with the concepts instead of variations like “medieval DCU” or “Gilded Age DCU,” made their Flashes women. I’m thinking in particular of the Tangent Flash and Stan Lee’s “Just Imagine” Flash. And of course once you’ve committed to creating an entirely new character for the role, you’re not tied to the previous character’s race, profession, or anything else about their personal identity. 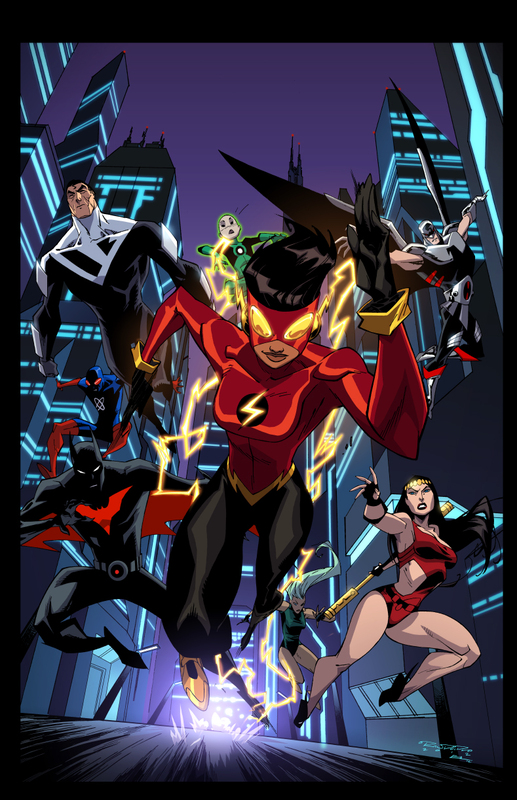 This entry was posted in Covers, Flash News and tagged Beyond, Danica Williams, Derek Fridolfs, Flash Museum, Jorge Corona, Justice League Beyond, Preview on February 8, 2013 by Kelson.